I’m really pleased to kick off this interview series with Anne Sanow, recently displaced from the storied beaches of Provincetown, MA to the baked flats of Lubbock, TX. Though I’ve never been to Lubbock, it occupies a place in my heart since this person hails from there. 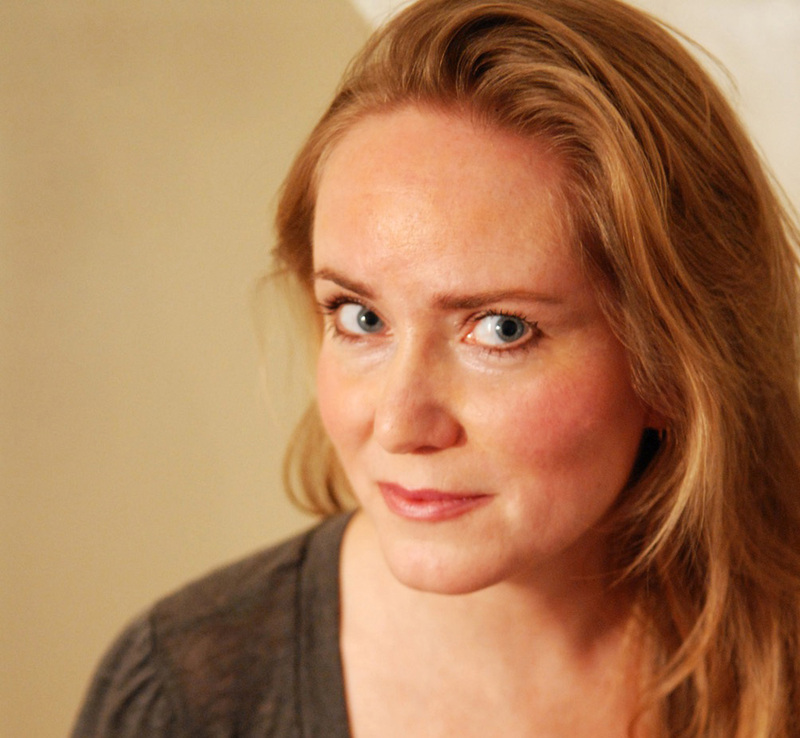 Anne Sanow is the author of the story collection Triple Time, winner of the 2009 Drue Heinz Literature Prize and the 2010 L. L. Winship/PEN New England Award for fiction. Her book was selected as a “Must-Read Book” by the 10th Annual Massachusetts Book Awards. She’s currently a visiting professor of Creative Writing at Texas Tech University. I hail from Sunnyvale, California, which is about as quintessentially suburban as you can imagine. But it’s California quintessential. When I was growing up there (this was in the 70s and 80s) there were still orchards among the tract housing; I woke many mornings to the sound of a tractor in the fields by this fruit-and-vegetable stand called the Corn Palace. (That’s actually still there—it must be the only unpaved part of Silicon Valley still left!) Right after high school graduation I moved to Saudi Arabia and the other expats I met joked that they imagined me spending my high school years going to the beach and drinking champagne in hot tubs, which I vociferously denied until I realized that it was kind of true. There’s no one place I could choose, nor even particular elements—I can say that I’m drawn to water, but I’ve been equally happy living on Cape Cod or next to the Hudson River; I like vastness of any kind, things windswept and stark and even a bit barren. Given that I’ve been a serial monogamist with the places I’ve lived over the past 25 years, I suppose the uniting aspect would be something of that vastness and its possibility, some sense of always being able to look out and imagine. Wandering and migration fascinate me, and feeling out of place—that’s something that many of the characters I write about experience. For the first time since leaving California, I’m back in the West! I’m currently a visiting professor at Texas Tech, which is in Lubbock. This is what they call the Panhandle/Plains area of West Texas, and you really get a sense of plains pretty much right outside of the city limits. There are ranches and cattle and cotton fields, and a lot of windmills. The altitude is 3,000 feet, but it’s so flat that when it rains the streets flood out. It also smells like cow manure quite a lot—which is not a bad smell, really. The birds have long tails and shriek differently than they do back East. Men wearing cowboy hats is routine. I’ve never seen so many fabulous vintage Ford pickups in one place as this, ever. Oh, and there’s supposed to be this good museum downtown commemorating some famous dead rock star . . . what’s-his-name . . . just kidding, David Schuman. I know you’re going to unfriend me if I don’t get there soon. Surprised? Well, I’m still not used to being called “ma’am”—it’s not an age thing here, as even a 20-year-old Starbucks cashier will say it to a 20-year-old customer. It’s still odd to me when students do it, though. Frightened? No; unless I should be more wary of the (many) stray dogs in the neighborhood. Frustrated? Lack of beauty: the city is not very attractive overall, I hate to say, but that’s why I’m learning to get out and explore. Next weekend it’s the canyons a couple of hours north. Not yet—but it will! I always need to give it time. It took more than 10 years after leaving Saudi to write about it; having recently departed New England, that’s only just now starting to wend its way into a few drafts. I’ll definitely use this place at some point, and look forward to seeing how that happens.